I must, I have to: It’s an obligation, isn’t it? 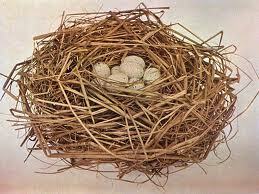 Bird’s nest or Janette’s hair without the eggs? In general the difference between Must and Have to is connected to personal opinion. If it is your personal opinion to do something then usually we use MUST + BARE INFINITIVE, and if it isn’t connected to your opinion, for example an external situation, then we usually use HAVE TO + BARE INFINITIVE. My hair looks like a bird’s nest I must go to the hairdressers. I must phone my mother because I’ve not spoken to her for a month. I had to walk home last night as I missed the last bus. Posted on Aug 3, 2017 Jul 22, 2017 by Inglés MálagaPosted in Grammar, VocabularyTagged aprende ingles malaga, modal verbs, obligation.